i. 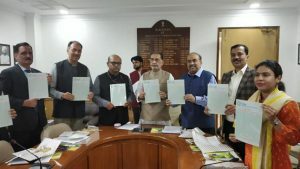 Union Minister of Agriculture and Farmers’ Welfare, Radha Mohan Singh launched the ‘Yuva Sahakar-Cooperative Enterprise Support and Innovation Scheme’ of the National Cooperative Development Corporation (NCDC). ii. The schemes aims for attracting youth to cooperative business ventures. The scheme will be linked to Rs 1000 crore ‘Cooperative Start-up and Innovation Fund (CSIF)’ created by the NCDC. The funding for the project will be up to 80% of the project cost for these special categories against 70% for others. i. An MoU for the partnership between Department of Biotechnology and Cancer Research UK (CRUK) for the India-UK Cancer Research Initiative has been signed in New Delhi. ii. The India-UK Cancer Research Initiative is a collaborative 5-year bilateral research initiative that will focus on affordable approaches to cancer. Both countries will invest £5m each in this 5-year pilot and seek further investment from other potential funding partners. i. Satya Pal Singh, Minister of State for Human Resource Development, launched two new initiatives, namely, the Leadership for Academicians Programme (LEAP) and the Annual Refresher Programme In Teaching (ARPIT) for higher education faculty. ii. LEAP is a three weeks flagship leadership development training programme for the second level academic functionaries in higher education institutions and ARPIT is a unique initiative of online professional development of 15 lakh higher education faculty. Prakash Javadekar is the Minister of Human Resource Development. i. 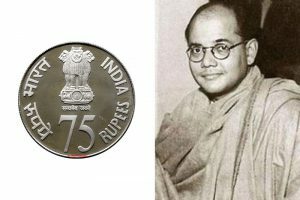 The government will release a Rs 75 coin to commemorate the 75th anniversary of Netaji Subhash Chandra Bose hoisting the Tricolour for the first time at Port Blair. ii. On December 30, 1943, Bose raised the Indian National Army (INA) to fight against the British, had hoisted the Tricolour for the first time at Cellular Jail, Port Blair. 2. Composition: 50% silver, 40% copper, and 5% each of nickel and zinc. 3. Portrait of ‘Netaji Subhash Chandra Bose’ saluting the flag on the background of Cellular Jail in Port Blair. i. 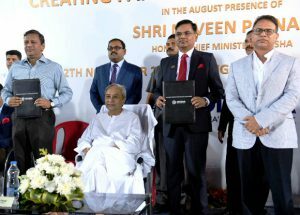 The All India Football Federation (AIFF) and the State government of Odisha signed the MoU at the Kalinga Stadium complex in the presence of Chief Minister Naveen Patnaik. ii. Odisha will host National team camps while also becoming the home of the I-League side Indian Arrows, according to the MoU. i. 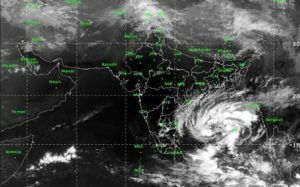 The cyclonic storm 'Gaja' over the Bay of Bengal lay at about 470 km southeast from Chennai and is set to make landfall between Cuddalore and Pamban bringing heavy rainfall to Tamil Nadu. ii. It will also cover some parts of Puducherry. Earlier it has hit the South Coastal part of Andhra Pradesh. i. The United Nations Security Council (UNSC) has unanimously agreed to lift sanctions against Eritrea after nine years. An arms embargo, asset freeze, and travel ban were imposed in 2009 amid claims that Eritrea supported al-Shabab militants in Somalia. ii. 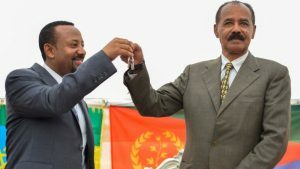 Eritrea agreed on a peace deal with Ethiopia following two decades of animosity, while the leader of Eritrea and the UN-backed government in Somalia recently signed a joint cooperation agreement. Eritrea Capital: Asmara, Continent: Africa, Currency: Eritrean nakfa. Eritrea gained its independence from Ethiopia in the early 1990s. i. 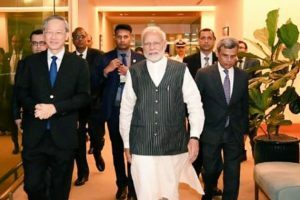 Prime Minister Narendra Modi attended the 13th East Asia Summit in Singapore. The summit is a regional forum held annually by leaders of 18 countries in the East Asian, Southeast Asian and South Asian regions, including Russia and the United States. ii. He presented awards to winners of first India-Singapore Hackathon. Mr. Modi attended the second Regional Comprehensive Economic Partnership (RCEP) Summit with 16 member states. 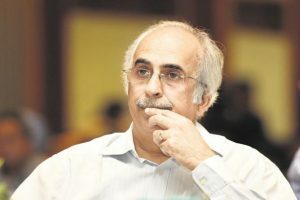 The first East Asia Summit was held in 2005.
i. Ashok Chawla, chairman of Yes Bank Ltd, resigned with immediate effect from the lender’s board after being named in a corruption charge sheet by the Central Bureau of Investigation (CBI). ii. Mr. Ashok Chawla is the present Chairman of the Board of Directors of NSE and Mr. Vikram Limaye is the Managing Director and CEO of NSE. Yes Bank Headquarters: Mumbai, CEO: Rana Kapoor. i. 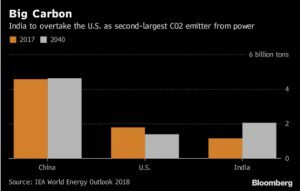 The International Energy Agency in its latest report 'World Energy Outlook' stated that India will overtake the U.S. to become the world’s second-biggest emitter of carbon dioxide from the power sector before 2030.
ii. Carbon dioxide emissions from India’s power sector are expected to rise nearly 80% by 2040 as power use almost triples, driven in part by air conditioning. China will remain the biggest emitter. International Energy Agency was established in 1974. It headquarters in Paris, France. i. Barcelona star Lionel Messi was named La Liga Player of the Year for 6th time, adding one more title to his abundant collection of soccer’s great honours. 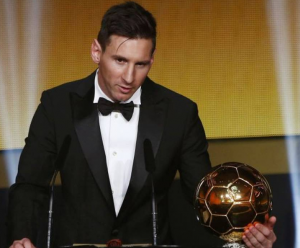 Messi lifted the prestigious award at FIFA’s gala ceremony in Zurich. ii. The late England player and manager Bobby Robson received FIFA’s fair play award, while the presidential award for contributions to football and society went to Jordan’s Queen Rania. i. The Women’s World Boxing Championships begins in Delhi. This tenth edition of the tournament is set to be the biggest ever as more than 300 boxers from 72 countries are taking part. ii. The championship is being hosted by India for the first time since 2006 when the country had topped the table with four gold, one silver and three bronze medals. 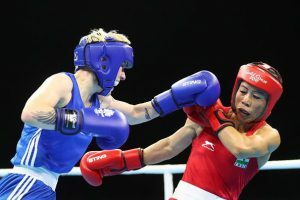 In the last edition of World Boxing Championship, India won just a silver through Sonia Lather in the 57 kg category. i. Former England and Chelsea Football midfielder Joe Cole has retired at the age of 37.
ii. He played at 2002, 2006 and 2010 World Cups, making his final England appearance at the latter tournament in South Africa. He scored 10 goals in 56 games for England between 2001 and 2010.